Nearly 20 years ago, Farscape changed the landscape of science fiction television when it introduced the world to John Crichton and his adventures in uncharted space. Now, The Jim Henson Company and legendary science fiction writer and Farscape creator Rockne S. O’Bannon return to one of their most celebrated creations for the official continuation of the beloved and groundbreaking television series. 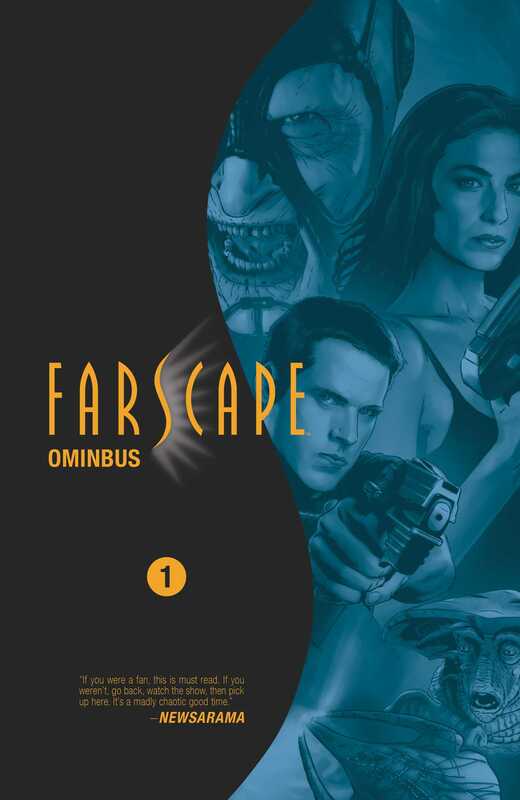 Experience the journey like never before with this brand-new omnibus edition, featuring over 600 pages of story collecting the first four volumes of the critically acclaimed Farscape comic book series, and the complete spinoff trilogy chronicling the formative adventures of fan-favorite character D’Argo.